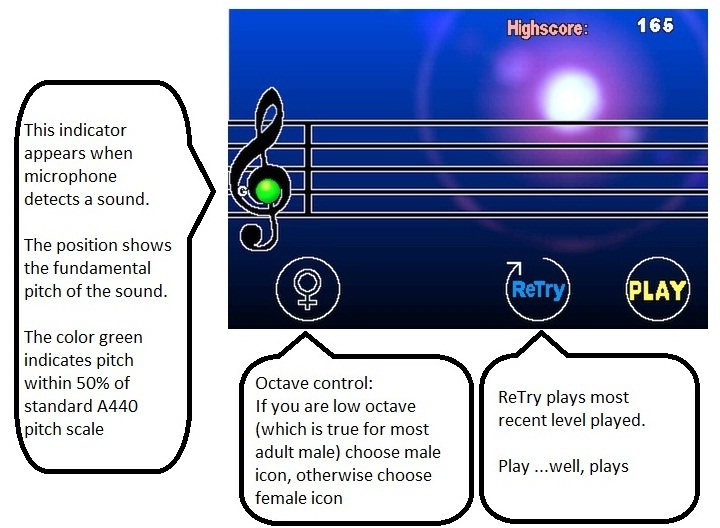 The goal of the game is to hit the pitch of forecoming notes of a melody before it scrolls to the left side. You can do this by singing la-la-la, da-di-da, ba-ba-ba, ah-ah-ah or even hum. To kill a note, your pitch must be within a semitone and susutain for 50% of the note length. Best way to do this is to memorize the melody and sing it at pace of melody being played. The melody preview allows you to learn the pitch and pace. 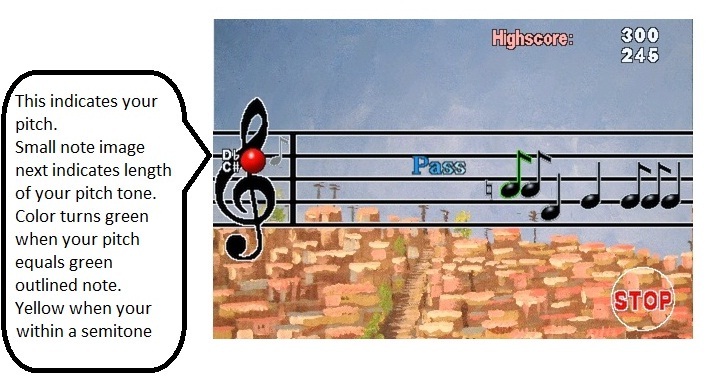 For best result, avoid noisy places where stray noise can distract the pitch detection algorithm. 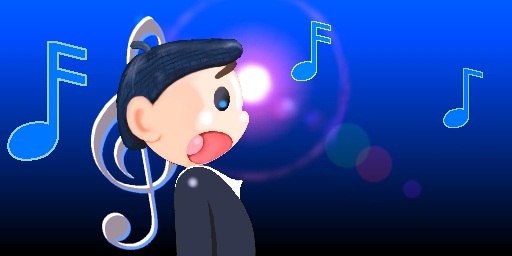 Remember, if you miss a note, you can't get to the next note!